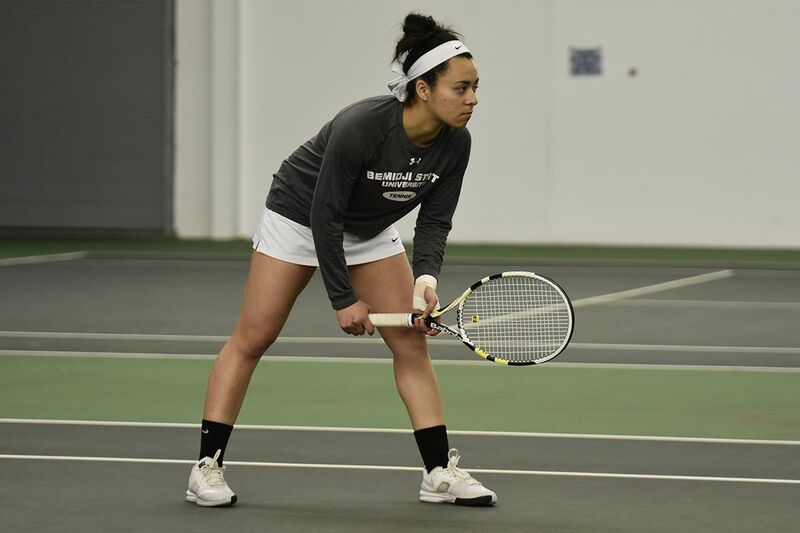 The Bemidji State Women’s Tennis team is now 10-4 after a 2-0 weekend on the road with wins over Minnesota State University Moorhead and the University of Mary. With their wins in tow, the team has taken one step closer to earning a spot in the 2016 Northern Sun Intercollegiate Conference Championship Sunday that will take place April 23-24 at the Oakdale Village Tennis Center in Minnetonka, Minn.
Making it to the conference tournament is a huge step for the tennis program. The Beavers have had a successful season and with now being 10-4 and 5-4 in league play, they are currently tied with the 1999 season for most wins in program history. Sabrina Okeson sets herself up for a sharp hit back to her opponent. With already being tied for the most wins in program history, the team still has three games left, so they have a chance of beating the record. 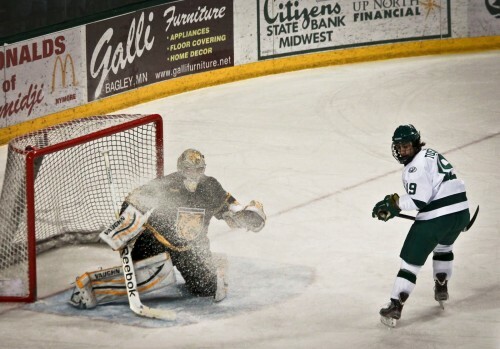 This weekend they will head to New Ulm and Owatana to finish up the last weekend in their regular season. There they will play DMLC, Mankato and Southwest State.